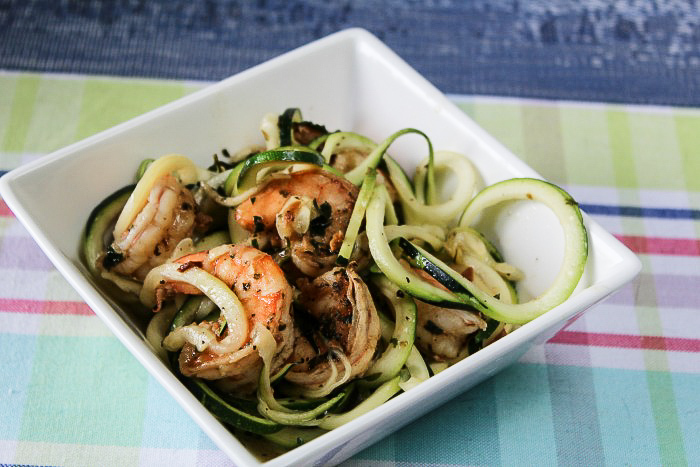 This recipe for Shrimp Scampi Zoodles is a healthy alternative to eating fatty pasta without losing the flavor. 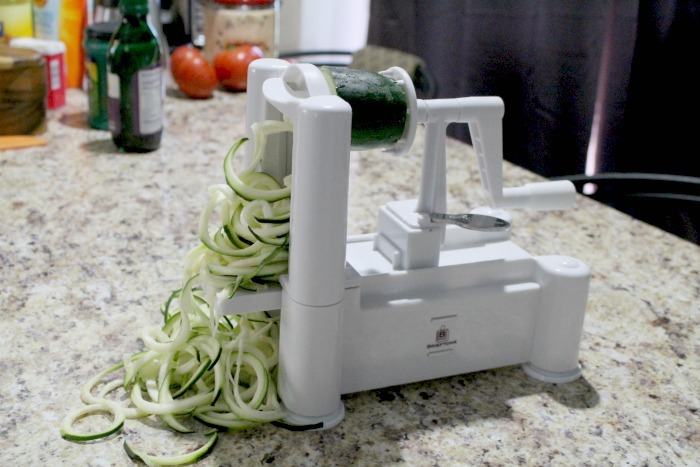 One of my new favorite things is using my Spiralizer to make zoodles — which are zucchini noodles. 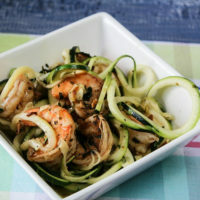 Veggie noodles are all the new craze which is how I came up with this delicious Shrimp Scampi Zoodles Recipe. 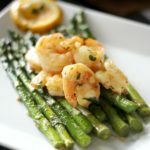 This dish comes together in about 15 minutes and will be tasty and hearty and have every flavor of a good scampi dish that you like — but without all the calories and fat! 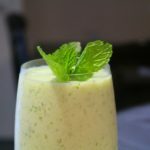 Then follow the recipe below, and you will have the most amazing dish you could ever create. Now — while you can make the noodles by hand, why would you want to when they have this kitchen gadget available? 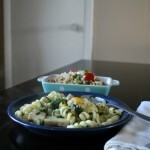 It makes creating this dish so easy. 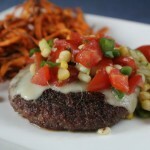 I have been using it to spiralize everything. I made sweet potato spirals, cucumber spirals, and even potato spirals and all have turned out amazing. 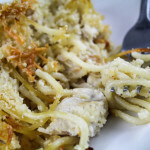 Once you get the noodles spiralized, which is the longest process in this dish, everything else comes together in a snap. 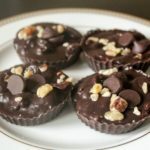 When you are done, you will have a meal fit for a queen or a king — and this is great if you are trying to eat low carb or gluten free. 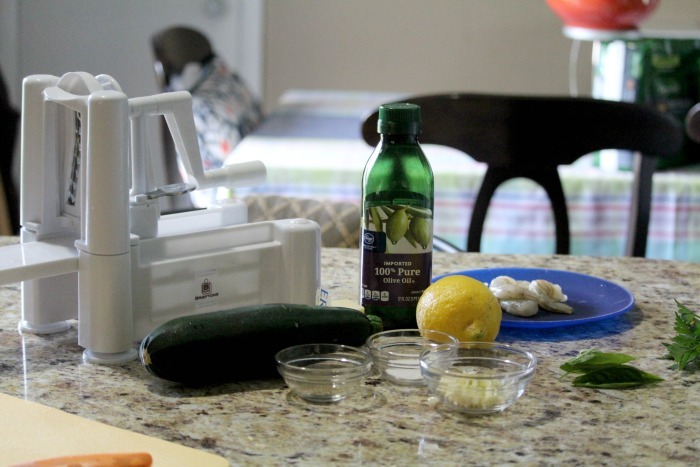 If you are short on time and don’t want to buy a spiralizer, they now offer these precut at most grocery stores, including ALDI. 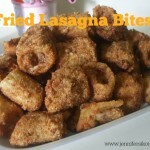 Just grab a pack and pull them out when you want to make a healthy dish. 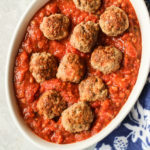 I keep several packs in my freezer for a quick weeknight meal. If you make a dish like this, then you won’t feel bad for having a Sugar Cookie Fruit Pizza for dessert. It’s all about balance Y’all. Stir in lemon juice; season with salt and pepper, to taste. 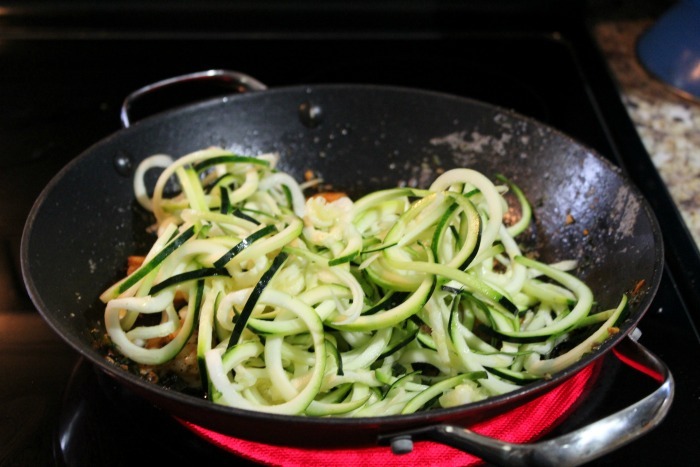 Bring to a simmer; stir in zucchini noodles until well combined, about 1-2 minutes. 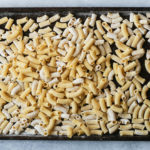 What is your favorite way to use these noodles? 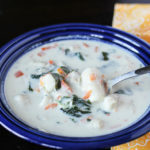 Do you make soups or stews and throw them in? 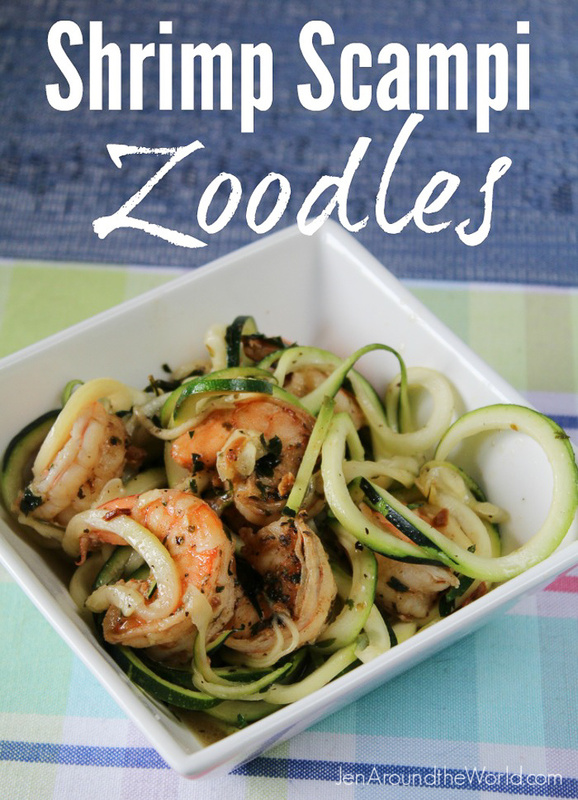 I would love to hear about your ways to use zoodles.